Then we have the perfect place for you, welcome to our Lost World Spa. 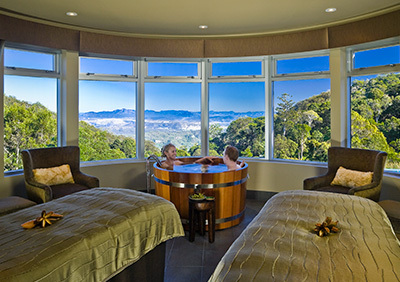 Located at O’Reilly’s Rainforest Retreat, the Lost World Spa is our answer to rest and relaxation, our hidden secret. With regular specials and new treatments, there’s something for everyone. Feel all traces of tension dissolve with our ‘Hot Stone Therapy’ Autumn Special. Heated volcanic stones are placed strategically along pressure points to help melt away any tension creating a calming atmosphere. You will receive a back, neck and shoulder, scalp and face massage to promote positive energy flow giving a sense of harmony and balance helping you feel at peace. 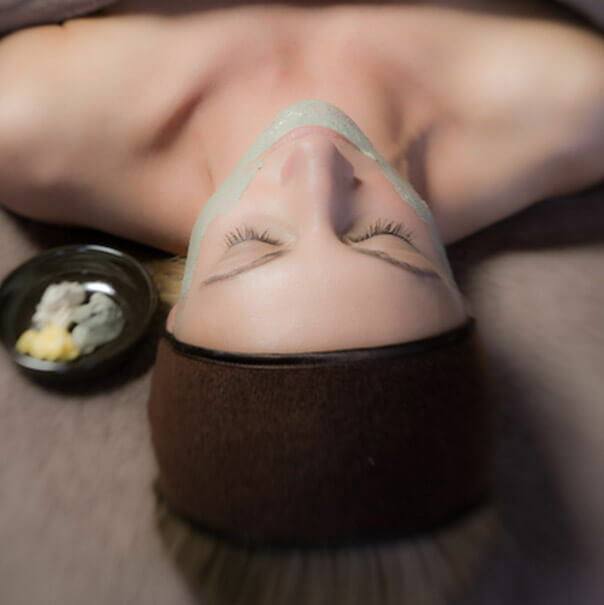 Experience this 60 minute indulgent special all for only $135*! *Offer valid from Mar 1, 2019 to May 31st 2019. Quote “Autumn Special” at time of booking. Book a treatment by calling our Spa team on 07 5544 0898 or use the enquiry form below and we will get back to you as soon as we become available. Purchase a voucher by contacting our Reservations team on 1800 688 722. Please Note: The Lost World Spa is closed on all other Tuesdays and Christmas Day. Please fill out the form below and we will get back to you as soon as we are available. Please note that our Spa books up very quickly so its best to make a booking well in advance – we do our very best to accommodate you during your visit to O’Reilly’s. The Lost World Spa is one of O’Reilly’s newest and arguably the most favorable additions to the Retreat. What’s a Retreat getaway without an over indulging spa treatment? Choose from a range of massages, facials, hot stone therapies, spa or steam room treatments. These spa treatments will get you will help relieve any tension then kickstart your mind, body and soul leaving you feeling completely rejuvenated. Call (07) 5544 0898 to book a treatment. Start and finish your Lost World experience in the comfort of our relaxation lounge. 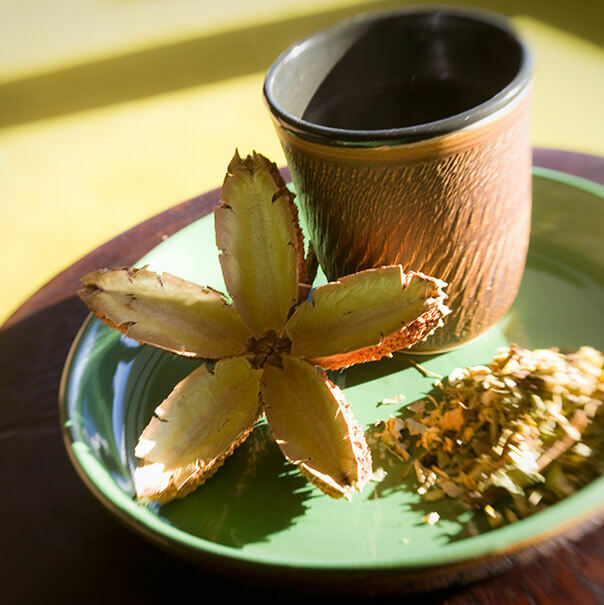 Sitting back, overlooking the magical views of Lamington Park with a herbal tea in hand is the perfect way to start and conclude your time at our Day Spa. 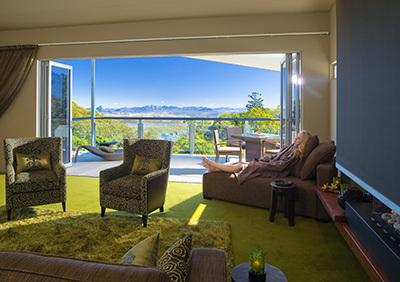 The Lost World Spa has seven state of the art treatment rooms, including two couples suites. The Couples Suite provides the ultimate Spa experience, complete with hand crafted wooden tub and a private nature inspired shower. 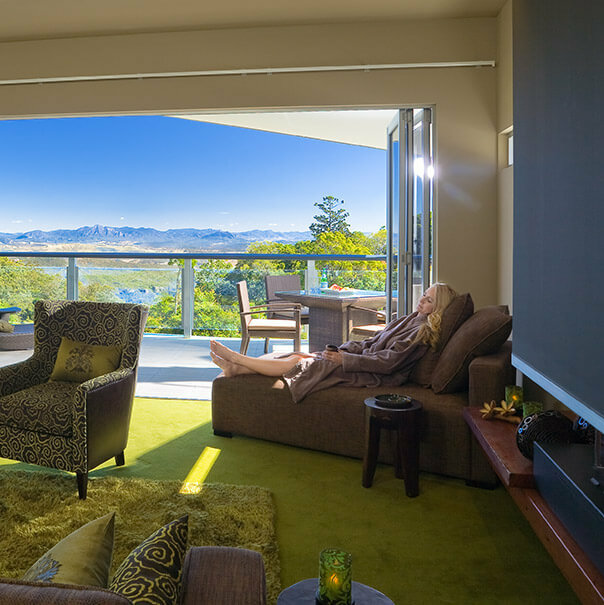 Spectacular views out over the valley to the distant McPherson Ranges and Great Dividing Range finish off an amazing setting. 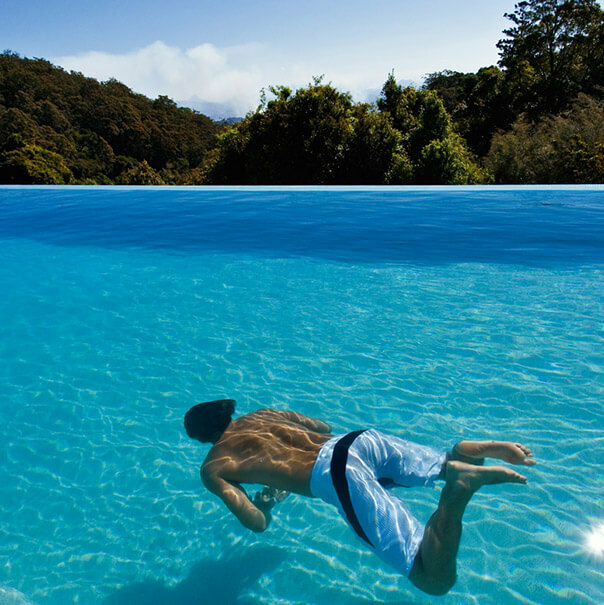 When you don’t have your feet up in the day spa, you may enjoy lapping up the sunshine by our stunning infinity pool. 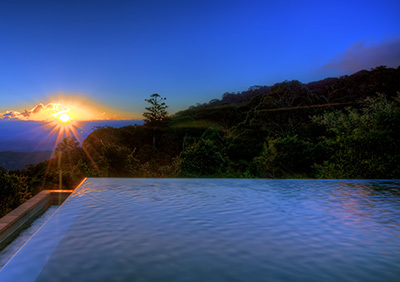 With more picturesque views, you’ll never want to leave and why should you. We also have a children’s wading pool, so the whole family can enjoy the pool area. Release those toxins and sweat out that negative energy. Our steam room is the best way to finish off your experience at the Lost World Spa. You’ll leave feeling like a new person. Isn’t that what a day spa is all about?